I don’t know why we have stigmatized vocational education. 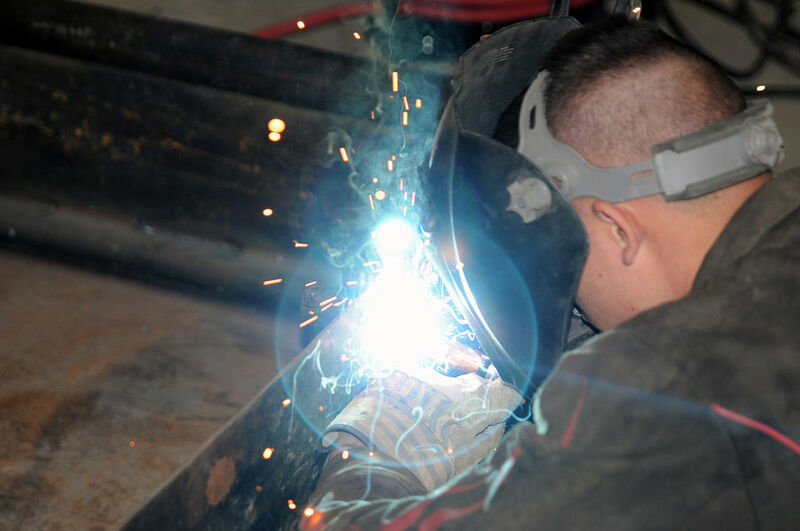 Welders make more money than philosophers. We need more welders and less philosophers. Said candidate has been criticized on many fronts. Philosophers actually make considerably more than welders, if a “philosopher” is someone who teaches philosophy. And of course, anyone with a bachelor’s degree (in philosophy or anything else) will earn considerably more over a lifetime than someone without one. These quibbles aside, what particularly struck me about the above quotation is the use of the word vocational. The last two decades have seen huge changes in the language of vocation, such that — in the world of higher education, at least — the phrase “vocational education” is no longer so frequently used when referring to trade-school training for work such as welding, cooking, or diesel mechanics. But as this candidate’s comment suggests, that usage is still very common in the larger political and cultural realm. This should serve as a reminder, to those of us deeply involved in the campus conversation about vocation, that our work may not always translate easily into the wider public context. Of course, this doesn’t mean that we shouldn’t use the word vocation; it does mean, however, that we may want to be a bit more intentional and active as to how we define it, employ it, and explicate it. The terminological problem also suggests that when we think about “alternative” language for vocational thinking (call and calling, lives of meaning and purpose, and so on), we might not want to think of this as merely optional. At this juncture in history — when the word vocational is still being used (and heard) as referring primarily to trade schools — we should generally seek to employ a wider range of vocabulary. This will help us to get the message out beyond our immediate contexts. As a bona fide Doctor of Philosophy, all I can say is that the one thing I wish I knew how to do in this world is to weld together two pieces of steel. I am serious about this: I have tried it, I find it totally awe-inspiring, and I’m very bad at it. I think I should take a course in welding — as, apparently, other philosophers have done, including Matthew B. Crawford, the author of Shop Class as Soulcraft (New York: Penguin Random House, 2010), as noted in the recent NYT article by Alan Rappeport. If I ever have the time and money to take a course in welding, I am going to do it. In the meantime, someone should probably tell the candidate in question that thumping on the liberal arts for populist points is so . . . 2011.